Today, simply offering a great product or service is not enough. While expertise, quality, and reputation definitely still count, most businesses and individuals look for new business partners or service providers on the Internet. So, it’s critical you also rank high in Google. You need to have proper search engine optimization (SEO) to thrive, not just survive. Even if your company, products, or services are superior to your competitors, if your search results are inferior, fewer customers will find you. 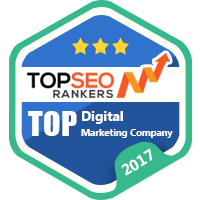 We make sure your ranking on Google gives you the competitive edge you need. With the proper SEO, your already good business can be even better. That means more customers, clients, patients, or corporate accounts for you. Plus, we’ll do it in a way that not only creates additional sales and profits for you but also generates greater recognition and goodwill. Our services are designed for companies that are already active, healthy businesses, but would like to move much farther faster and accelerate their growth. Your business must already be doing some form of advertising and promotion. In other words, you need have a steady flow of leads and customers, be getting consistent traffic, and making sales. While you don’t need to be a major player in your industry, you do need to have a presence in your market. In addition to being an established company, you need to have a solid reputation and offer high-quality products or services. What's your company's monthly advertising budget this includes Search Engine Optimization and internet media as a whole? What is your core goal? If you were to have a discussion with Webmetrix Group 12 months from today, and you were looking back over the past year, what would have had to happen in your life both personally and professionally, for you to feel happy with your business's progress through a successful Marketing campaign? Please be very specific with this response.